Willy Wonka be damned -- there's a new golden "ticket" in town. And hunting for this one will get you drunk, too. Anheuser-Busch recently announced their newest Super Bowl promotion sure to excite die-hard football and beer fans alike. 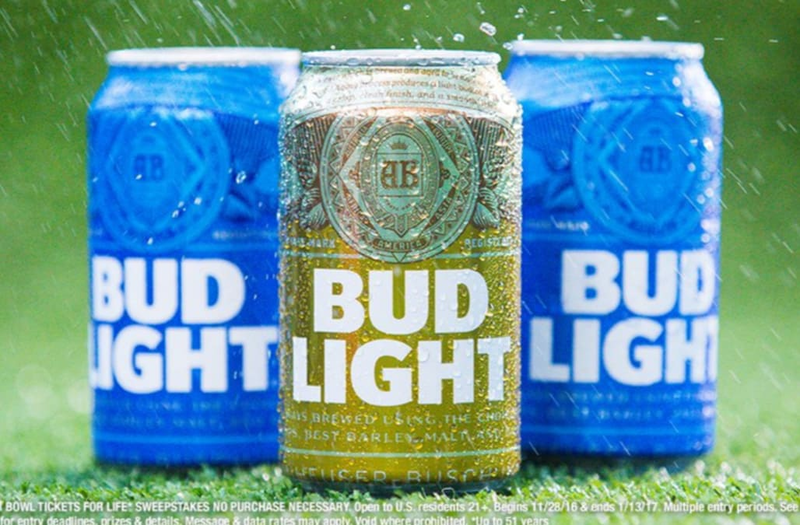 "Bud Light, the Official Beer Sponsor of the NFL, is further celebrating passionate NFL fans around the league by introducing limited-edition 'Strike Gold' Super Bowl-themed packaging," according to a statement from the company's website. "Randomly seeded in select packs are gold Super Bowl 51 cans, which – when found – give fans the opportunity to enter for a chance to score big at the end of the season and win tickets to attend the Super Bowl each year for the rest of their life." However, unlike Willy Wonka's golden tickets, a golden can does not immediately guarantee you the coveted prize -- actually, finding one is far from an automatic win. "Beginning Nov. 28 and extending through Jan. 13, all packs of 18-, 24-, and 30-packs of 12 oz. Bud Light cans across the country (excluding California) will feature the new bold look," said the company. 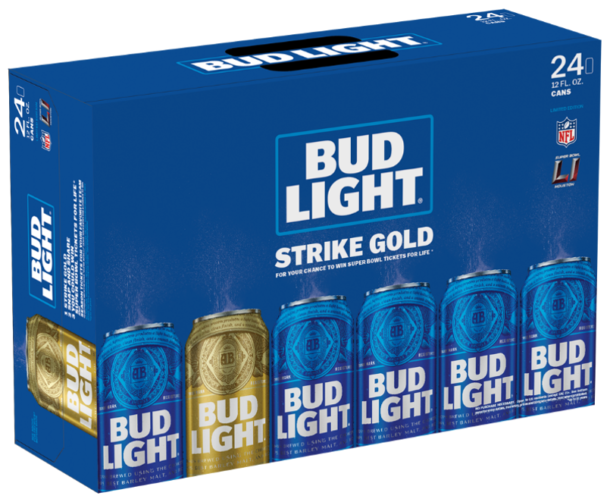 "Just 37,000 gold cans will be randomly seeded in these limited-edition Strike Gold Bud Light packs, which opens the door to winning the grand prize." That's right: Find one of these babies and you've got a 1/37,000 chance of snagging the lifetime Super Bowl tickets ... and by "lifetime," they mean if you only plan on living for fifty one more years. Oh well ... at least it'll look pretty in your recycle bin?